Caskey’s work focuses on the development and clinical evaluation of novel immunotherapeutic strategies against infectious diseases, with a special emphasis on HIV. Despite the success of combination antiretroviral therapy in suppressing viral replication and preventing disease progression, HIV incidence remains high, and current treatment modalities do not eradicate the infection. A new generation of highly potent, broadly neutralizing antibodies may represent a novel strategy to combat HIV infection, potentially providing long-term control of infection, prevention of new infections, and guidance for vaccine development. 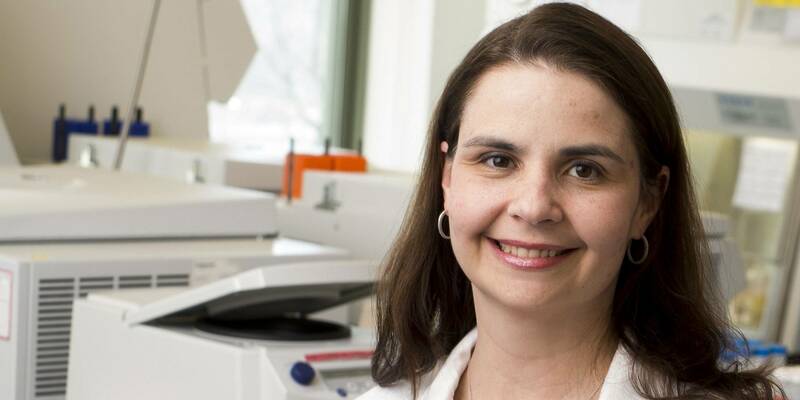 Over the last four years, Caskey has led a series of first-in-human studies with two of the most promising broadly neutralizing anti-HIV-1 antibodies: 3BNC117 and 10-1074, which were isolated from HIV-infected individuals by the Laboratory of Molecular Immunology. These first studies aim to evaluate the safety, pharmacokinetics, and antiviral activity of these molecules in both HIV-infected and HIV-uninfected individuals. In addition to controlling viral replication and preventing infection by blocking viral entry, these molecules have the potential to interfere with the latent reservoir of infected cells that is not eliminated by standard treatment. Studies of neutralizing antibodies, in combination with other immunologic strategies directed toward achieving HIV cure or long-term remission, are also being pursued by Caskey’s team. These initial studies, conducted at The Rockefeller University Hospital, have begun to elucidate the in vivo activity of these molecules in humans and have generated supportive data to advance their development to larger clinical studies with the goal of determining their efficacy in preventing HIV infection in high-risk populations.